Stroke occurs when arteries supplying oxygen and nutrients to a part of the brain are broken or abruptly blocked by a blood clot. The consequence of this symptom is that the part of the brain falls short of receiving enough oxygen and brain cells die within minutes. The patient may be paralyzed, comatose, or even dead depending on the area of the brain affected as well as the degree of the injury. That is why it is important to recognize the warning signs of a cerebrovascular accident. The surgeons of Neurosugery Department at FV Hospital are working closely with the world’s leading neurosurgeon, Assoc. Dr Mahendran Nadarajah, who is capable of controlling and preventing the risk of such a dangerous disease. Graduated from St Andrew University and King’s University (United Kingdom), Dr Mahen Nadarajah is well known in the field of diagnosis and surgery to treat neurological and vascular diseases. With over 20 years of experience in clinical practice in the UK, Australia and Singapore, he is one of the world’s leading experts in the treatment of stroke and cerebrovascular diseases. Dr Mahen Nadarajah is currently working as an expert practising interventional Neurological and Intravascular Surgery at King’s Health Care (Singapore), Oxford Spinal and Neurological Research Institute (Oxford University, England) and FV Hospital (Vietnam). In addition to direct medical examination and treatment, Dr Mahen Nadarajah has also conducted intensive medical research and achieved many prestigious awards. He is currently a senior consultant at Singapore National University Hospital and a member of the Royal Society of Physicians as well as a number of other clinical and academic councils. 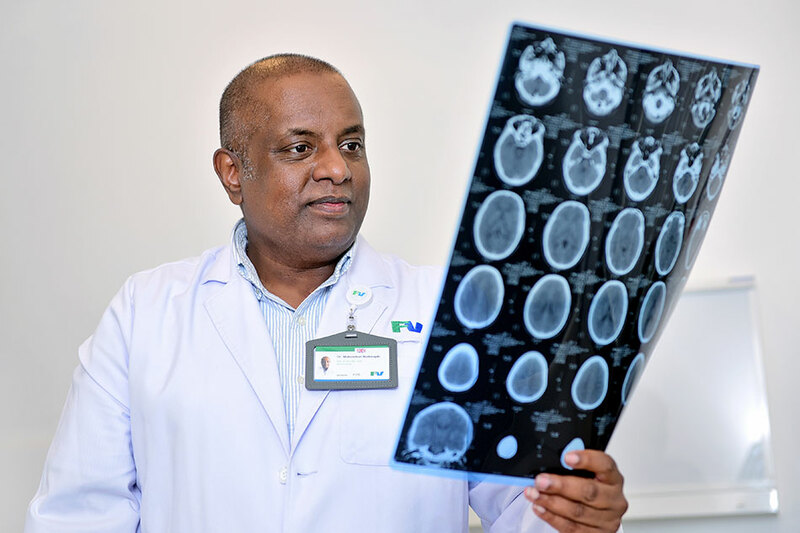 To register for an examination and make an appointment with Dr Mahen Nadarajah, please contact the Neurosurgery Department on: (028) 54 11 33 33, ext. 1250.